9x12, xiv + 109 pp. Representative of the grand, festive style of the Italian baroque, this Mass is set for double choir, soloists, and strings in the concerted style and demands a high level of performance skills. 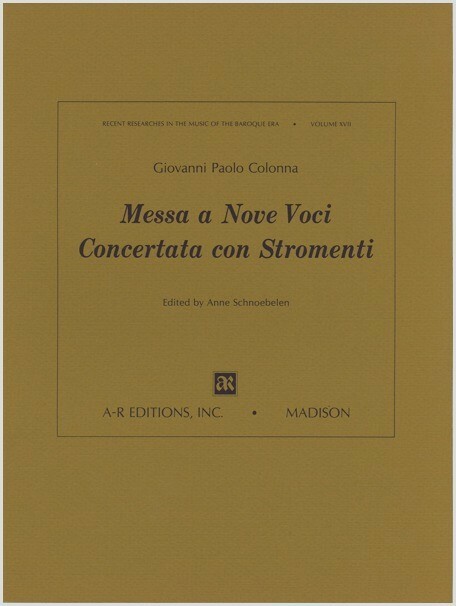 The work demonstrates Colonna's rich harmonic vocabulary, contrapuntal dexterity, and dramatic sense of pacing and variety. This work in the concerted style is set for double choir (SSATB; SATB), soloists (SATB), and strings.